One of the bright selling points of electric cars is that they’re silent, but that’s also a potential safety hazard for pedestrians used to listening for the rumble of an internal combustion engine to know a car is coming. The problem is downright dangerous for those who are blind. Some electric cars make a fake futuristic whoosh to compensate for it. 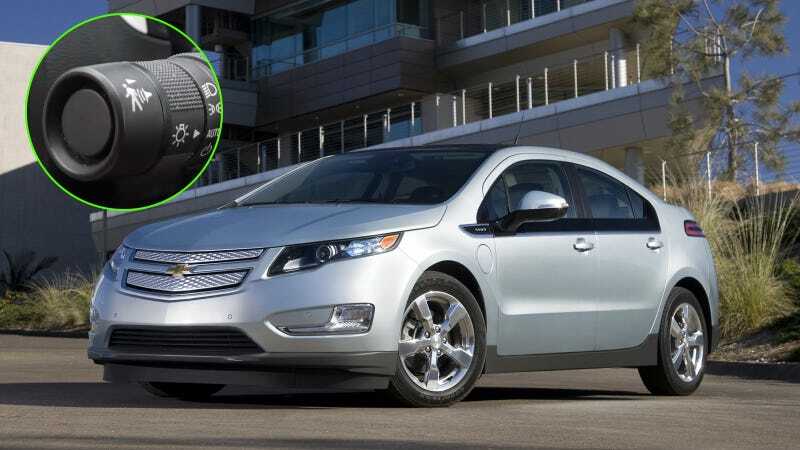 The original Chevy Volt had a better solution: a second, cute little horn. 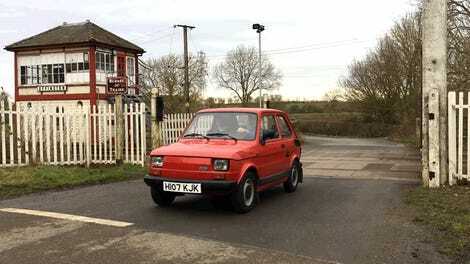 This came up on Jonny Smith and Richard “Sniff Petrol” Porter’s great web show Smith & Sniff. Oddball car owner Smith bought a Volt to replace his original Honda Insight (two seats were insufficient for the kids) and went through the whole car to show why it’s slowly becoming the classic hit it never quite was when new (for a whole host of reasons). And about 18 minutes into a 20 minute video, Richard Porter woke up and remembered what he liked about the car when he drove it in its initial press launch: the second horn. As far as I can tell, GM officially called this the “Pedestrian Friendly Alert,” per GM-Volt.com, and indeed the button at the end of the stalk behind the steering wheel shows an inattentive ped getting bleeted out of their dazed stupor. “It’s like a little hummingbird,” Porter calls it. Per Smith it’s like a trumpet with a mute. The horn is genuinely quite cute and charming, and I wish every car had it. Sadly, not even the Volt kept it around, as forums confirm that by the time the second generation came out for 2015, the second horn had been replaced with bland white noise, always on when the car was otherwise silent. Bleh.